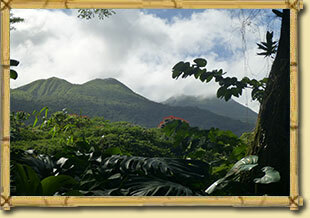 As you follow the private drive through the tropical flower garden to our secluded Tradewinds Cottage, you will discover the Hawaii that you came to see. 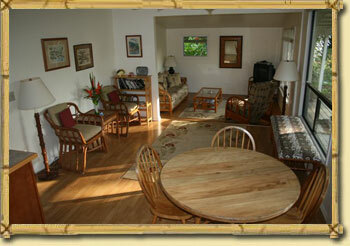 Surrounded by exotic flowers and tropical fruit trees, our two bedroom, one bath cottage has cable TV, DVD and CD stereo. There is a gas cook top, refrigerator and microwave oven in the newly remodeled kitchen with a propane barbeque outside on the covered deck. 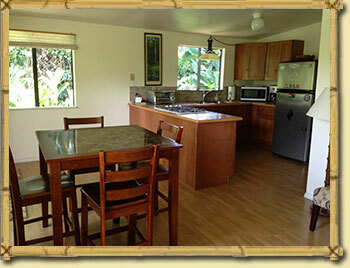 Wireless Internet access is available on the property. 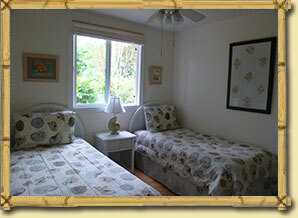 The cottage has a queen size bed in one bedroom and two twin beds in the other bedroom. 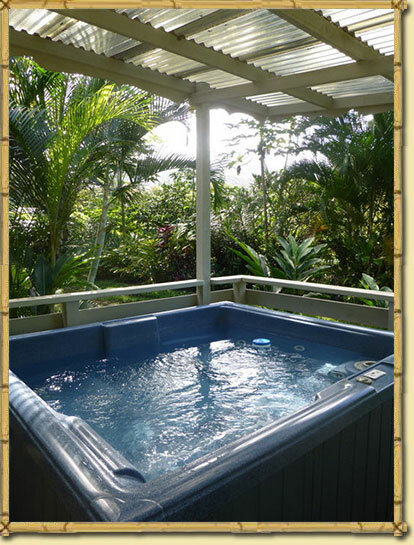 You'll enjoy the splendor of the slopes of Haleakala while relaxing in your private hot tub* or cooking your favorite island-style feast on the barbeque under your covered lanai. 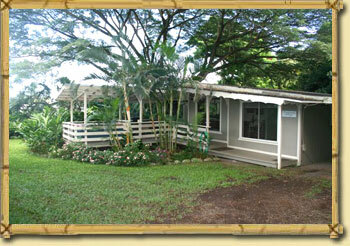 Nightly rate: $195 plus 14.5% tax for two people and $25 per night night for each additional person up to four people. 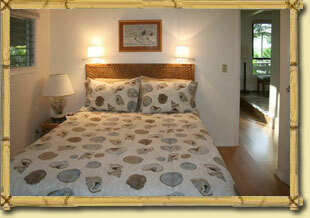 For the rate of $195 a night plus tax for two people you would have use of just one of the bedrooms. If there are 2 in your party but you need both rooms, please notify us ahead of time as it is an additional $25/nt + tax. We do not accept pets. If you are traveling with a service dog, please contact us ahead of time. 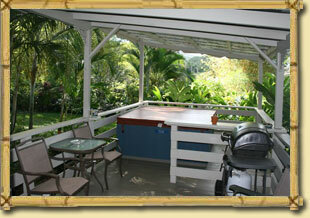 *NOTE: THE HOT TUB IS A MECHANICAL DEVICE AND IT IS OCCASIONALLY OUT OF ORDER FOR MAINTENANCE/REPAIRS. WE CAN NOT GUARANTEE THAT IT WILL BE IN OPERATION DURING YOUR STAY.